Do you have a passion for public service? If so, ours is the perfect graduate program for you. Our program is one of fewer than 300 programs in the nation accredited by NASPAA (the Network of Schools of Public Policy, Affairs, and Administration). Our graduates work in a wide variety of leadership positions across all levels of government, as well as diverse nonprofit and private organizations. Our alumni are making a real difference throughout Ohio and beyond as city, county, and township administrators, planners, department and program managers, nonprofit executives, entrepreneurs, community developers, and fundraising professionals. If you are an experienced professional seeking career advancement or a student planning to begin your career in public service, our engaged faculty members will help you plan your program of study to best meet your professional needs, develop or enhance your management skills, and deepen your understanding of the dynamic context and operations of diverse organizations. Our M.P.A. graduates are leaders in local, state, and federal government, nonprofit corporations, universities and colleges, and private businesses throughout the Dayton region, Ohio, the United States, and internationally. NASPAA—The Network of Schools of Public Policy, Affairs, and Administration, provides career placement information for graduates from all NASPAA-accredited programs. You can review national hiring trends, salary, and program specific placement data for graduates of NASPAA-accredited programs on the NASPAA website. View the Public Administration program profile for sample occupations, average salary, and employment projections. View M.P.A. graduation rates, job placement, and internship information. View the Master of Public Administration program information and requirements in the University Catalog. Each M.P.A. course meets once a week in the evening to better serve busy working professionals. Students can complete the program in two years by taking two courses per semester including summers. Or students can complete the program in three years by taking two courses per semester and no courses during the summer. A key advantage of Wright State’s M.P.A. curriculum is its focus on both theory and practice to enhance your understanding of relevant public policies and their effects on administrative processes and outcomes. Our M.P.A. courses emphasize real-world problems to illustrate relevant theoretical concepts and to enhance students’ ability to develop and evaluate potential solutions. Our faculty members also utilize service-learning in some courses to allow students to analyze problems and propose potential solutions for organizations and communities in the region. This blend of theory and practice enhances students’ professional insights and capacity for success in public service. URS 7000 Foundations and Tools of Public Administration—examines the legal and political variables and tools that affect the management and operation of local governments and nonprofit agencies. URS 7010 Public Budgeting and Fiscal Management—focuses on budget processes and financial management practices in the public and nonprofit sectors. URS 7020 Strategic Planning and Program Evaluation—addresses the theory and practice of strategic thinking, planning, and management in public and nonprofit organizations and familiarizes students with the major concepts, skills, and approaches to program evaluation. URS 7030 Organization Theory and Management Behavior—analyzes the fundamental behavioral concepts and processes involved in public sector organizations. Evaluation of approaches to major behavioral issues such as motivation, leadership, and management development. URS 7040 Managing Human Resources in Public Service—examines personnel functions such as job evaluation, recruitment and selection, performance appraisal, compensation, training, labor relations, and affirmative action. URS 7050 Quantitative Analysis—surveys the fundamental concepts for statistical analysis of public affairs research. Emphasis on characteristics of distributions of random variables, diagnostic techniques, the tests of assumptions of each analysis and multiple and logistic regression. URS 7060 Research Methods—focuses on different aspects of policy evaluation by obtaining facts and analyzing information on the impact of public programs. Deals with controversy over the use of objective performance indicators and citizen surveys as program performance measures. Project: URS 7070 Capstone Project—students meet with leaders of a public or nonprofit organization to understand their needs and then mutually agree upon a project that provides the organization with research needed for positive change. Focus: Apply sound research methodologies to study and analyze real-world problems experienced by communities, public agencies, or nonprofit organizations and make recommendations to improve or solve the problems. Project: URS 7080 Applied Research Project—research project for the master’s degree in public administration. Project: URS 7090 Thesis—under the supervision of the thesis committee and chair, students select a public administration problem, prepare a proposal detailing the research question, complete the research, write their thesis with full documentation, and defend their work before the committee. Focus: Conduct scholarly research to contribute original knowledge to the discipline of public administration. Explore some of our students’ exciting and valuable theses, capstone, and applied research projects and see how our students are contributing to their communities and organizations even before they graduate. Our students’ diverse projects address issues such as employment and job training; all levels of educational opportunities; business and economic development; urban living; housing and neighborhood development; reaching and serving at-risk populations—including homeless, low income, and mentally ill citizens; building code enforcement and abandoned properties; justice and law enforcement; public works; economic and business development; transportation; marketing and communications; best practices and process improvement; citizen engagement; and more. Please follow these simple steps to apply. All applicants must have earned a bachelor’s degree prior to entering the program. Domestic students complete and submit your application for admission and your 400-word essay online via Wright State University’s Graduate School. International students must apply to International Admissions rather than to the Graduate School. International students are required to submit additional application materials including proof of English language proficiency. Please complete and submit these materials as outlined on Wright State’s International graduate students Application Checklist. three letters of recommendation from professionals who know your academic capacity for graduate-level studies and are not your friends or family. Each professional’s letter should be on letterhead and signed. M.P.A. applicants are not required to take a standardized admissions test such as the GRE or GMAT. However, applicants who have taken such tests may choose to submit their scores as additional evidence of their academic preparation for graduate school. April 1–Apply by April 1 for first consideration if you are seeking a GRA position or financial assistance. August 1—Last day to apply for Fall admission. The Graduate School accepts applications on a year-round basis. Students admitted to the M.P.A. program begin each Fall term. The Graduate School or International Admissions will determine if your application is complete. M.P.A. faculty members will then review your completed application and make a recommendation for your admission to the program. Upon being accepted, you will receive a formal letter of welcome from the Graduate School and another from the M.P.A. program director. Your welcome letter will identify a faculty advisor who will guide you in preparing a Program of Study. You can track your acceptance status online. Promising M.P.A. applicants who do not meet the requirements for regular or conditional admission to the M.P.A. 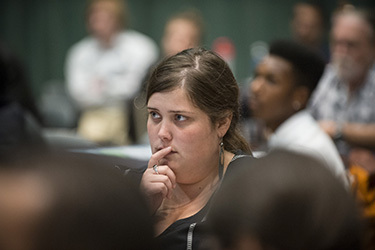 program may apply for non-degree status through the Wright State Graduate School. However, non-degree status does not guarantee future admission to the M.P.A. program. M.P.A. applicants in non-degree status must be accepted by the WSU Graduate School and complete nine credit hours (three semester courses) of approved M.P.A. coursework with a minimum grade of at least 3.0 (B) in each course. When students in non-degree status meet these requirements, they must then apply or petition for admission to the M.P.A. program.